? Where does your trash go? Xtreme Waste is a non-profit organization that works with the Waikato District Council to manage the solid waste in Raglan. 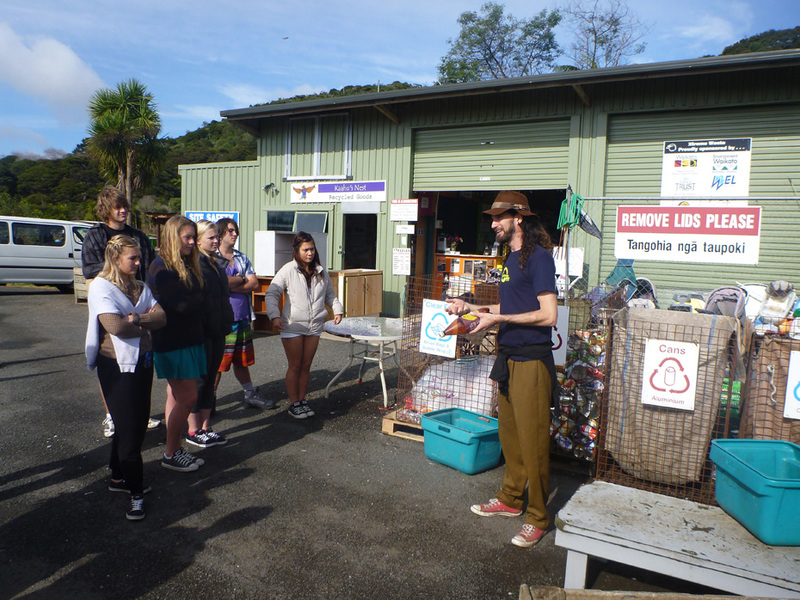 Within just 10 years of operation Xtreme Waste has helped the community to divert 75% of Raglan�s waste from the landfill through recycling and reuse. Visitors will get an overview of why Xtreme operates, issues of landfills and trash, and community solutions. Guests may also get a chance to get their hands dirty looking for worm eggs in the on site worm bin, or try to lift an aluminium bale.